Fox FOX306OL-BRK Mojo By Anso Lockback by Fox at MZ Italia. MPN: FOX306OL-BRK. Hurry! Limited time offer. Offer valid only while supplies last. 4.75'' closed. 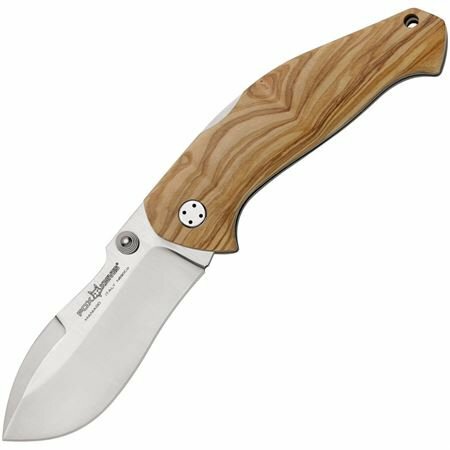 3.5'' satin finish bohler N690 stainless blade. Olive wood handle. Lanyard hole. Thumb stud. Brown leather belt sheath. 4.75" closed. 3.5" satin finish bohler N690 stainless blade. Olive wood handle. Lanyard hole. Thumb stud. Brown leather belt sheath. Boxed.